All Ontario homes currently listed for sale in Ontario as of 04/18/2019 are shown below. You can change the search criteria at any time by pressing the 'Change Search' button below. If you have any questions or you would like more information about any Ontario homes for sale or other Ontario real estate, please contact us and one of our knowledgeable Ontario REALTORS® would be pleased to assist you. "INVESTORS, BUILDERS, AND PRINCIPAL - fabulous opportunity (1.46 acres) to invest with owner or purchase. 63,000 sq. ft of land. City zoning LDR5 5 (low-density residential) we have spoken with the city of Ontario and have subdivided the parcel into 6 lots, designed 2000 sqft home for each lot, each lot has an ADU for future build incorporated into the plans. Topography, soils report, civil, grading is complete. Project has been submitted to the city for entitlements. Purchase price includes entitlements only." "3793 square feet of living space on a very large beautiful park like 27,000+ square foot lot. 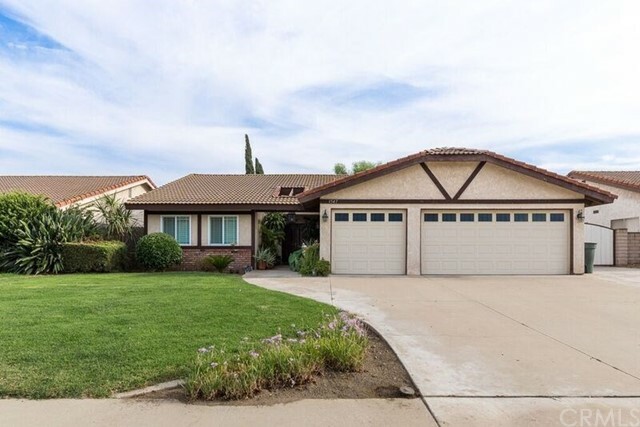 5 Bed, 2 3/4 baths, Lots of fruit trees, grapefruit and avocado. Plenty of shade to enjoy, a gated yard for added privacy, and a quite neighborhood. 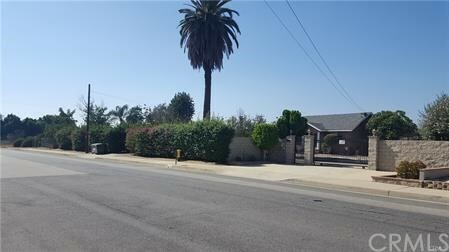 This corner lot home has a peek-a-boo view of the mountains, whole house fan to get all that hot air out, beautiful floors and a HUGE rec room, RV PARKING with a Back Yard Parking pad. Not to mention. .. 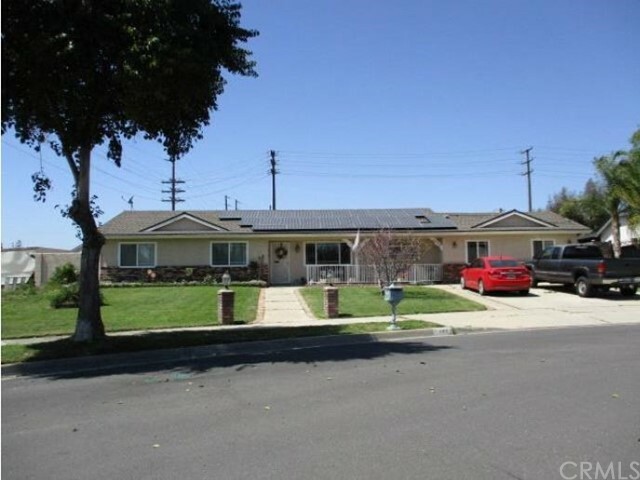 The property is close to EVERYTHING. . Schools, Shopping and freeways. Drive by, take a look and submit your offer today!!!" "HUGE NICE SHAPE LOT INVESTORS DREAM ! POTENTIAL TO BUILD 5 HOMES. BUYER TO CHECK WITH CITY OF MONTCLAIR/ONTARIO AND VERIFY FOR THE FINAL PLAN. 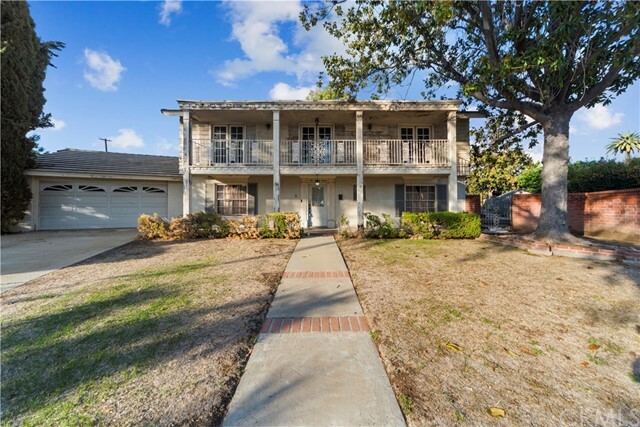 CONVENIENT LOCATION CENTRAL LOCATED BETWEEN FWY 10/60 AND 605/57." 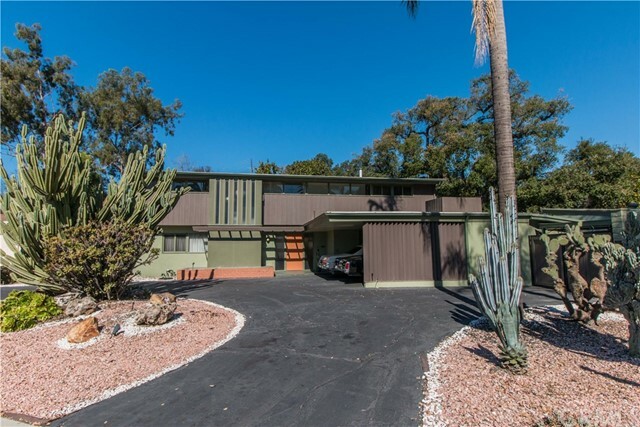 "PAUL WILLIAMS ARCHITECT DESIGNED MID-CENTURY CLASSIC. Masterpiece creation by famed architect, Paul Revere Williams, FAIA (1894-1980). Rare Usonian style home. The Dr. R. N. Williams residence. Historically designated as a landmark home in 2006. A Charles Phoenix Home Tour house. Once featured on the cover of Forgotten Modern: California Houses 1940-1970, written by architectural historian Alan Hess. Beautifully preserved property. Contemporary modern style custom built circa 1948 home approx. 2,040 sf. boasts 3 bedrooms and 3 baths. Home boasts a great room concept accented with Sam Maloof designed cabinetry, high ceilings, a wood burning fireplace, and multiple walls of glass. Smooth ceilings and abundant storage throughout. Kitchen with eating area. Approx. 300 sf. Separate Guest quarters/Art studio with bath. Outside storage/hobby room. Circular driveway, 3-car carport plus extensive storage cabinetry. Nearly 1/3 acre lot offers a covered brick patio, grassy gardens, and a magnificent majestic oak tree. 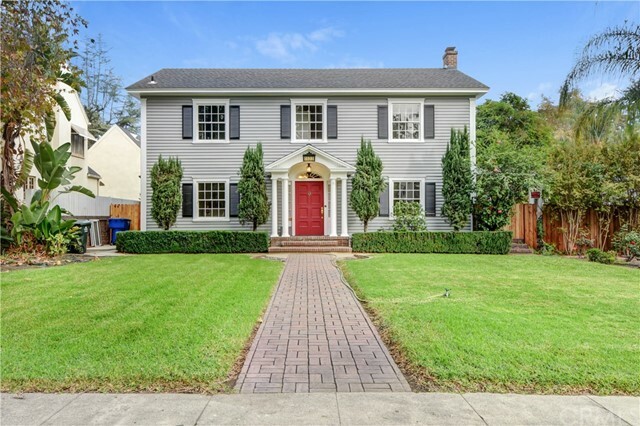 Coveted neighborhood of architectural and historic significance. A rare find seldom available for sale." "HUGE PRICE REDUCTION!! TURNKEY! TURNKEY! Take Your Breath Away When You Open the Double Doors To This Gorgeous Single Story, Ranch Style Home. The Home Offers 4 Bedrooms, 2.5 Bathrooms, Dual Pane Windows, Beautiful Tile Flooring, Recessed Lighting Thru Out, And Attached 3-Car Garage. The Hallway Has Been Custom Painted. As You Walk Thru The Living Room, You Will See The Plantation Shutters and Custom Built Setting for The Chandelier. The Kitchen/Dining Area Has Plantation Shutters and Built in China Cabinet. Kitchen Has Granite Counter Tops, Newer Cabinets And Appliances, Pantry; And Opens To The Family Room, Which Features A Cozy Fireplace And Sliding Door To The Patio. The Backyard is Tastefully Landscaped And Has Fruit Trees. 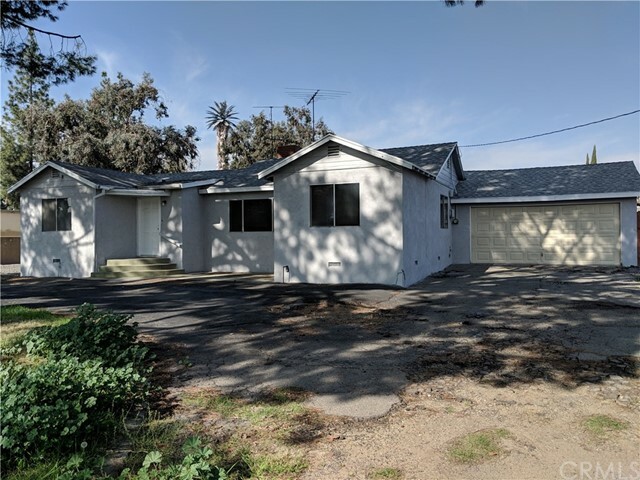 The Home Offers RV Parking, Access Driveway to the Back Where There is A 20x36 Covered Garage For Your RV, And An Additional Double Car Garage (Possible to Convert to Granny Flat) w/220 Volt Located In The Back Of The Property. There Is A Dog Run On Side of Home And A Horse Trail Behind The Property And Is Zoned For Animals. This Home Is Great For Entertaining And Building a Lifetime of Memories." 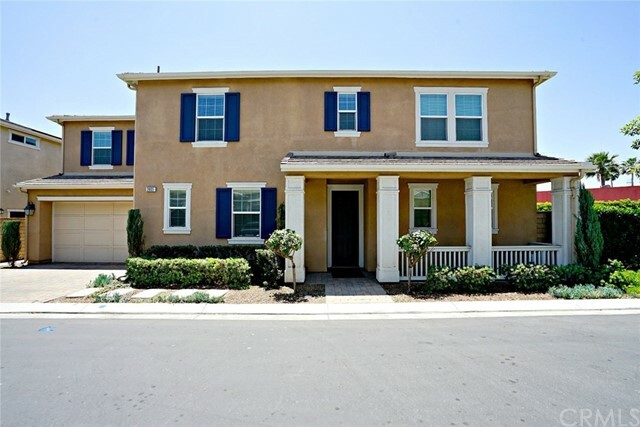 "***PRICE REDUCTION*** SELLERS ARE MOTIVATED. 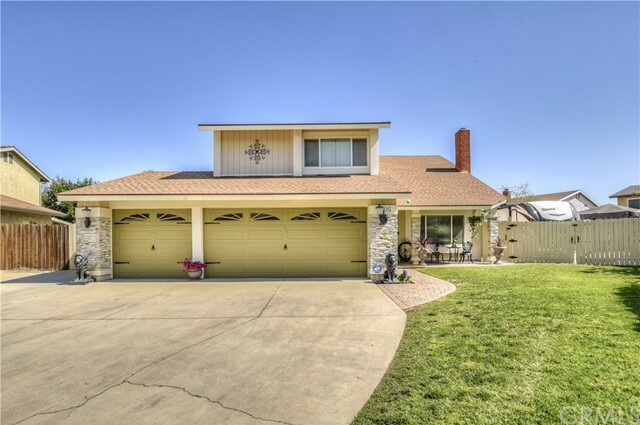 This beautiful ranch style home with a huge lot is ready for your pickiest buyer. This home is ready to go for a new homeowner. All the extras and more. The price has been reduced for immediate sale." "A Colonial Revival Architectural Style Home, upgraded with modern amenities but kept its historic appearance, is a rare find in the prestigious Ontario historic district of Euclid Avenue. Main house custom built in 1922 with 2250 sqft per tax records. Spacious living room with fireplace and 2 French doors that lead to the side patio that overlooks the Rose Garden. Remodeled kitchen adjacent to the formal dining room. A beautiful wood staircase that leads to upstairs with a large landing area, and to the 3 bedrooms with 2 remodeled bathrooms. The house has been renovated with refinished wood floors, freshly painted rooms, trim, doors and to add to the classic touch, some rooms have the old push button light switch. A den with half bath downstairs that can be used as another bedroom. There is a basement and separate indoor laundry area. To add on top of these that comes with a bonus of a 750 sqft quest house that was added during the 50th but recently remodeled with its own remodeled bathroom for you to entertain your guests. There is a large backyard with ample room for RV parking. This home may qualify for Potential Mills Act annual property tax savings. Buyers/buyers' agent to check with city for detail or verify all the property data." "could be used as office (city would want front of building to look like an office). TRANSPORTATION, TRUCK STORAGE, CONTRACTORS YARD, RESIDENTIAL HOME LEGAL NON-CONFORMING AS THIS IS A GENERAL INDUSTRIAL ZONE. LAND IS FULLY PAVED, UTILITIES ARE IN. SEPTIC BUT SEWER CONNECTION IS IN FRONT OF BUILDING ON STREET. FULLY PAVED WITH CONCRETE GATED WITH STRONG IRON FENCE. LOT NEXT DOOR IS ABOUT 11,000 SQ FEET COULD BE SOLD DIFFERENT OWNER. AIRPORT ZONE AND PERFECT FOR ALL TYPES OF TRANSPORTATION OR STORAGE AND OR LIGHT MANUFACTURING DISTRIBUTION AND TRUCK STORAGE. LIVE IN THIS MINT CONDITION HOME WITH TERMITE CLEARANCE AND LOADS OF PARKING. WAS A TILT UP ON SITE INSTALLED WITHOUT A PERMIT AND WAS UP BUT IT COULD BE PUT BACK UP WITH A PERMIT.ALSO AVAILABLE FOR A LEASE OPTION AT $5000 a month! CITY TO WORK WITH ALL BUYERS AND THEY WILL LET YOU HAVE A WAREHOUSE INSTALLED. OFFICE HOUSE AS LONG AS IT LOOKS LIKE AN OFFICE YOUR OK."
"Beautiful park, mountain and lake view! 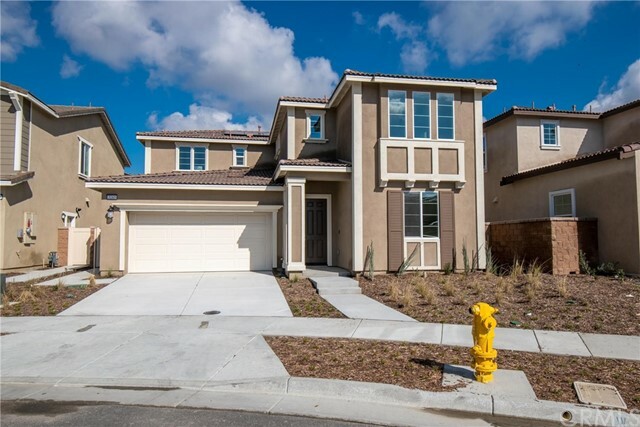 Bright home with great floor plan in Park side gated community! This home features 4 bedrooms with one at downstairs, spacious loft on second floor and a den downstairs. Breakfast nook sliding door leads to backyard. Lots of upgrades!!! This energy efficient home has 6 built-in solar panels. 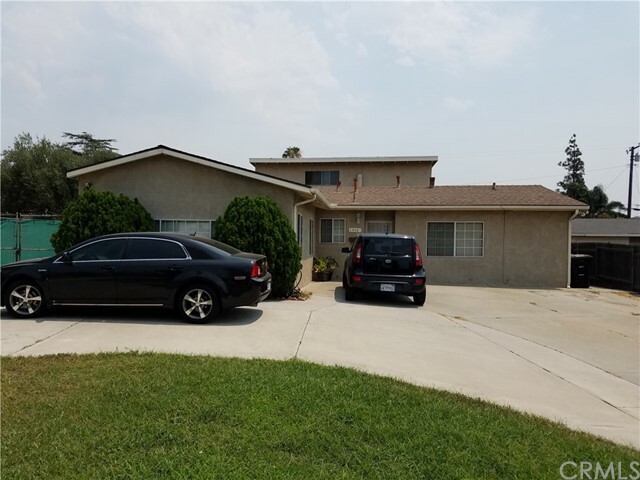 located at an extremely convenient location: Close to 10, 15, 210 freeways; Next to Cucamonga-Guasti Regional Park ; Minutes away from Ontario International Airport , Metrolink stations and California's largest outlet Ontario Mills. Great Rancho Cucamonga school district for elementary and middle school. Amenities at Parkside community include pool, spa & club house. 20 minutes driving to Rowland Heights." "STUNNING GEORGEOUS RENOVATED HOME. LIVING IS EASY IN THIS BEAUTIFUL AND GENEROUSLY SPACIOUS.ONTARIO HOUSE WHICH SITS ON APPROX.9541 SQFT LOT SIZE YOU'ALL ENJOY THIS SITTING FOR RELAXING AND ENTRETAINING THIS 2474 SQFT OPEN FLOOR PLAN FEATURES; 5 BEDROOMS 3 FULL BATHROOMS RENOVATED CERAMIC TILE FLOORING TRHOUGHT THE LIVING ROOM. DINING ROOM, AND ENTIRE UPDATED KITCHEN,YOU NEED TO SEE HOW BEAUTIFUL RENOVATED KITCHEN GAVINETS SELLER SPEND TONS OF MONEY RENOVATING THIS INMACULATED BEAUTIFUL LOCATED 2 STORY'S FLOOR HOME." "Look no further! Best FENGSHUI and biggest Lot in the community! Bright south-facing house with mountain view. Quiet and turkey. Home features: large backyard, spacious 3 bedroom 3 bath 2-car garage home with a downstairs office which can be used as 4th bedroom. 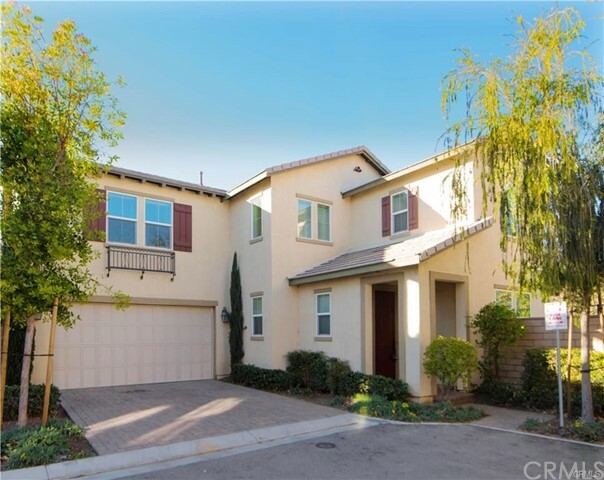 Sought after gated Parkside Community of North Ontrario bordering Rancho Cucamonga. This home boasts of Energy efficiency at its best with 12 solar panels paid off and tank less water heater. Granite counters throughout, upstairs loft area with high ceilings and many upgrades. Upstairs laundry room w/storage & folding counter. Roomy master suite with master bathroom including double sinks, full entry closet. Energy efficient windows to keep the home filled with sun light. Extra hallway storage and newer upgrades throughout. 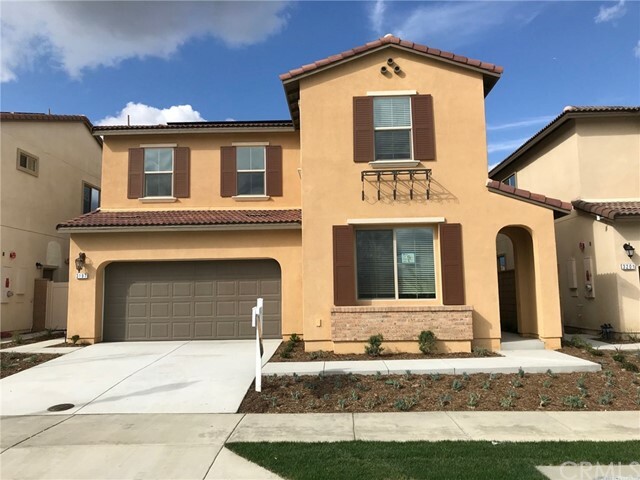 Parkside Ontario is situated less than a mile north of the I 10 off the Archibald Avenue exit and just minutes from the I 15, Metrolink stations and the Ontario International Airport. Community Amenities, include Parkside's recreation center, Pool and trails, climbing structure and open park area. The Cucamonga Guasti Regional Park is right next door! Enjoy the Ontario Mills Shopping Mall and Victoria Gardens as well! Low property tax and low $107/month HOA! Must see IN PERSON to appreciate!!" "Attention all Business owners and Investors! 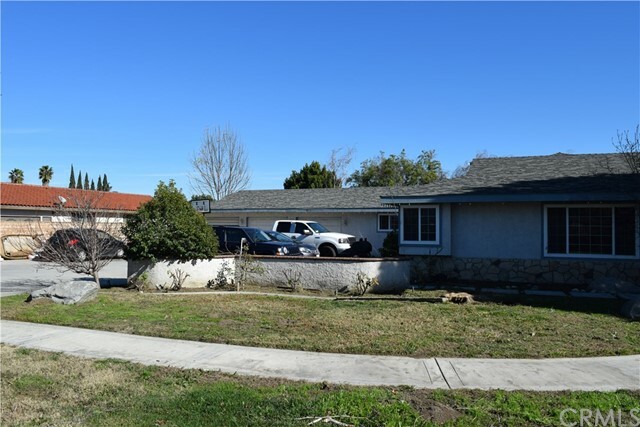 Seize this great opportunity to own a large vacant corner lot, zoned for commercial use, with a cozy 1 bedroom/1 bath, single family residence on back of lot. Land is flat and situated on corner of a busy street with much potential and perfect for exposure. 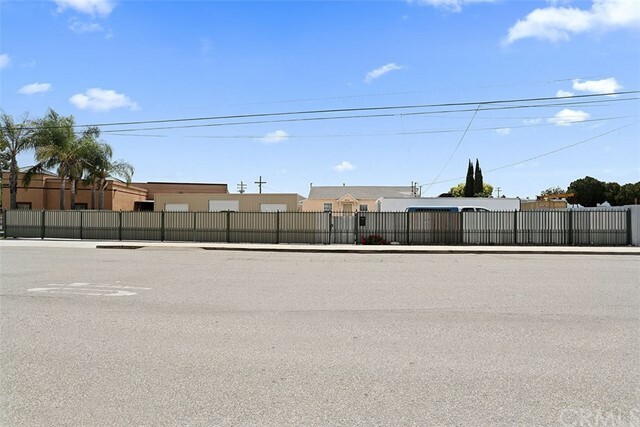 Ideal for buyer who wants to build a business and live in back house, or Investor who could build on front of lot for commercial use and have option to lease out business and residential space. In addition there are 4 detached single car garages for personal or business use. Rare opportunity to create a business exactly how you want it!" 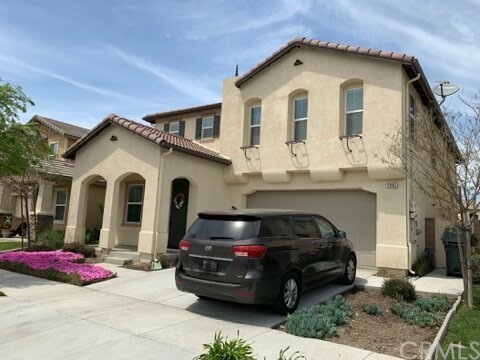 "Large home for large family its a must see, spacious home with loft with full bath and closet, kitchen upgrades granite counter tops, cabinets recess lighting, ceramic floors. Home has RV/boat parking, 4 car carport, 2 car detached garage with extra storage room." 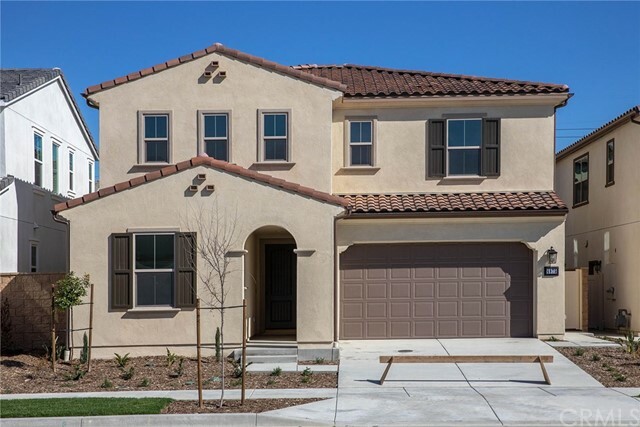 "This beautifully crafted residence delivers room for your family to grow with 4 bedrooms and a bonus room. Plus, the private downstairs bedroom is a must-have for multigenerational homes with older kids, live-in parents or out-of-town guests. Entertain with style and ease in the gourmet kitchen featuring a large island that will make for the perfect gathering spot for Sunday morning breakfast. Here, style and flexibility go hand in hand at this collection of new Ontario Ranch homes featuring charming entry gates, sliding glass doors that open to a covered outdoor room plus a large walk-in pantry and launch area. Energy efficient components include the whole house Quiet cool recirculating fan system, tankless water heater and complete Smart Home system giving you control of door locks, lighting, heating and cooling system from the touch of your smartphone. Residents will enjoy the resort style amenities with 2 community clubhouses that available for private events, bbq pavilion, 3 pools, 2 jacuzzis, fire pit, playground and plenty of space to entertain. This home is currently under construction, model photos pictured." "!!!!!!!!!!!!! !MUST SELL!!!!!!!!!!!!!!!!!! WILL LOOK AT ALL OFFERS!! BACK ON THE MARKET!! BEAUTIFUL POOL HOME WITH GUEST HOUSE!! Located in the Prestigious tree lined street of the College Park neighborhood, this Grand three bedroom Pool home with Guest House has stunning cathedral ceilings and open floor plans. Perfect for entertaining the back yard features, in-ground heated pool and spa, outdoor fireplace, 2 patios, built in BBQ with sink and refrigerator. NEW carpet, NEW AC unit, NEW Furnace, NEWER pool pump - 2 year old. NEW interior paint in bedrooms and laundry room. Double door entry to living room with sunken fireplace and vaulted ceilings, Kitchen and dining room have tile flooring, Granite counters, pull-out drawers in kitchen, NEW tile shower and flooring in bathroom, indoor laundry room and Stunning Master bedroom with Jacuzzi tub, walk in closet and double sink. Guest House 1100 with 1 bedroom and 1 bathroom with Upgraded kitchen and bathroom and Large Sliding doors with view to the pool." "AN OPPORTUNITY LIKE THIS DOES NOT ARRIVE IN PERHAPS A GENERATION OF REAL ESTATE! YOUR CHANCE TO OWN A HOME IN A PRIZED LOCATION, IN A MOST COVETED STREET IN ONTARIO. PEOPLE WAIT FOR YEARS FOR SOMETHING LIKE THIS TO COME ALONG, AND COME ALONG IT HAS....WE PROUDLY ANNOUNCE THIS HOME IN ARMSLEY SQUARE FOR SALE ! ONCE A SPECTACULAR ESTATE SITTING AT THE END/ TIP OF THE CUL-DE-SAC IS NOW FOR SALE. THIS VERY UNIQUE PROPERTY BOASTS OF OVER 3250 SQUARE FEET OF LIVING SPACE, AND LOT SIZE OF OVER 1300 SQ FEET, FEATURES 4 BEDROOMS (ALL UPSTAIRS), 2.5 BATHROOMS, HUGE LIVING ROOM, AND A MAGNIFICENT LIBRARY /OFFICE,AND A CENTRALLY LOCATED WET-BAR. IF THE WALLS COULD TALK, THEY WOULD TELL ALL ABOUT THE VARIOUS GATHERINGS, AND PARTIES FOR LOVING FRIENDS AND FAMILY, THE POOL AND COVERED PATIO AND AN ICE CHEST MADE OF BRICK ! INSIDE, THE HOME WAS SPARED NO EXPENSE, WITH A FATHER FOR WHOM ONLY THE BEST WAS GOOD ENOUGH. HE WAITED FOR THIS HOUSE TO MAKE IT A HOME FOR HIS FAMILY, AND THOSE LOVING TOUCHES ARE STILL PRESENT TODAY,FROM THE WOOD FINISHES TO AMAZING WET-BAR, COMPLETE WITH THE BRASS FOOT RAIL ! THE HOUSE SITS ON A PIE-SHAPED LOT AFFORDING 2 YARDS ONE TO THE EAST AND ONE TO THE WEST. BUT.... REST ASSURED THIS HOME NEEDS MORE THAN PAINT AND CARPET, IT NEEDS WORK --TO BRING TO ITS FORMER GLORY / OR NEW MAKE-OVER. THIS HOME IS BEING SOLD AS IS, AS IS, AS IS, AND THE PRICE HAS BEEN CALCULATED TO REFLECT THE WORK THAT MAY BE REQUIRED !!" "Exciting amenities your family won t get enough of include tot lots, BBQ areas with shade structures, a basketball court and exercise stations. Right outside your front door are the parks, trails and new schools of the Ontario Ranch master plan and just beyond that, enjoy the excitement of the nearby shopping, dining and entertainment. It s the life you ve always imagined, and then some. Come home to Avenida. 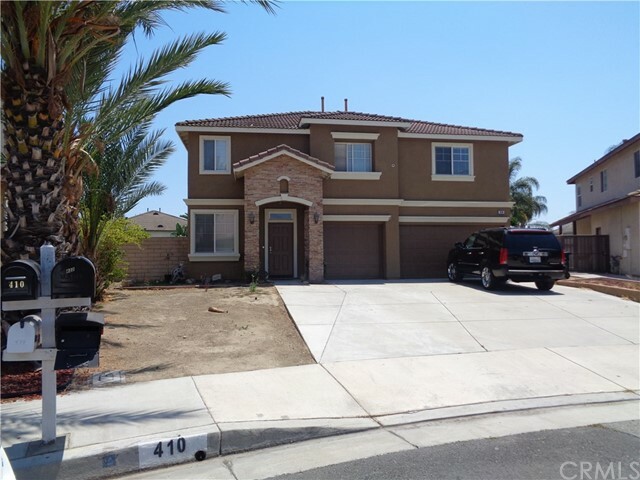 This 4 bedroom 3.5 bath home with 2 car garage is centrally located between the 60 - 71- 91 - 15 freeway corridors! Great for commuters! This home features downstairs suite living with a bedroom and bath." "This brand new 4 bedroom, 3 bath home is located on a quiet street in the heart of the New Haven Marigold community of Ontario. The Home features an open and bright floor plan with many upgrades to be included. Kitchen will have designer tile back splash, granite counters & white cabinets. There is an additional door from the garage to the side yard, the laundry room has been pre-plumbed to allow the addition of a sink & beautiful upgraded counter tops in all bathrooms with a 6 backsplash to match. Enjoy the indoor/outdoor living with the included outdoor room. Energy efficient components include the whole house Quiet cool recirculating fan system, tankless water heater and complete Smart Home system giving you control of door locks, lighting, heating and cooling system from the touch of your smartphone. Residents will enjoy the resort style amenities with 2 community clubhouses that available for private events, bbq pavilion, 3 pools, 2 jacuzzis, fire pit, playground and plenty of space to entertain. This home is currently under construction, model photos pictured." "A fantastic, two year old TRI Pointe Home, invites you in to see the many upgrades at built. To start, this 4 bedroom, 3 bath home boasts an open floor plan with a bedroom and full bath downstairs. It can be used as an office or guest room. Kitchen includes a large granite island, full cooktop and walk-in pantry. Stainless steel sink, Pendant lighting and cabinets galore in kitchen. Wood-look tile through out the home with bedrooms carpeted with upgraded quality and padding. Includes a loft for entertaining. A large master bedroom with his and her closets and custom barn door for privacy. Hardwood shutters on most windows. Wood decking at the outside entry way and in the California room. Garage has ceiling mounted storage racks and epoxy flooring. Showcase landscaping accents the home and not to mention a holiday light package which includes weatherproof GFI outlets under eaves for holiday lighting. Park House is walking distance from the home which includes many amenities for you to enjoy. This home is a must see to appreciate all it has to offer." "NEW CONSTRUCTION! 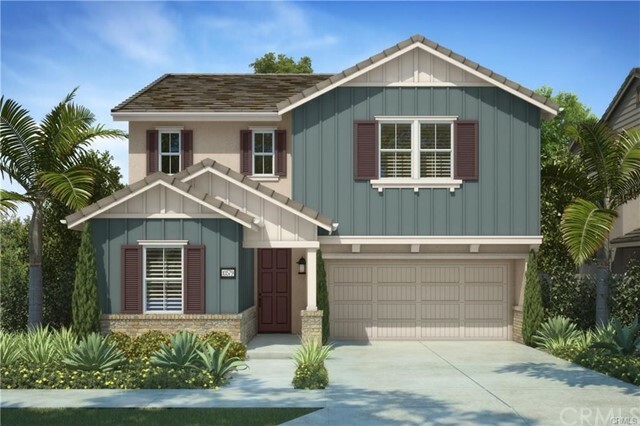 Residence Two at Sierra Peak by Lennar is a charming two-story homes that features approximately 2,765 square feet of living space, 4 bedrooms, 3 bathrooms and 2-bay garage with tankless water heater. This floorplan features an open great room with fireplace, kitchen and nook/dining room. This space, with access to an included covered patio, is perfect for entertaining guests. The gourmet kitchen comes complete with granite countertops, upgraded cabinetry, oversized walk-in pantry and stainless steel appliances. This home offers optional features such as an extended culinary kitchen and walk-in pantry in lieu of oversized pantry, tech room and walk-in pantry in lieu of oversized pantry as well as an optional bedroom 5 and bath 3 in lieu of flex room near the entry of the home. The first floor of this home also features a coat closet and under-stair storage. The second floor of this home includes a spacious loft, three secondary bedrooms, a secondary bathroom and master suite. The master suite includes a beautiful room, large bathroom and walk-in closet with built-in shoe rack. The master bathroom includes a built-in vanity, dual sinks, shower and separate soaking tub, making it perfect for any lifestyle. The laundry room is conveniently located on the second floor of this home, adding a sense of ease to laundry day. 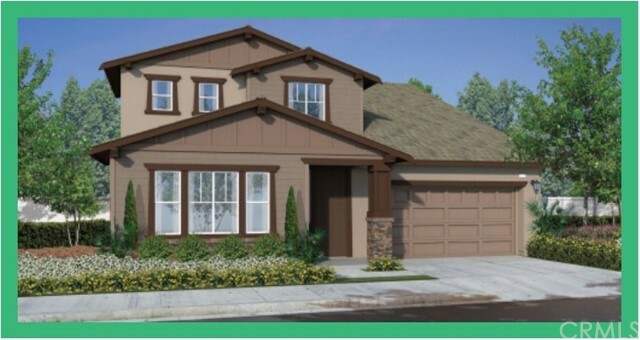 With all of these features, Residence Two at Sierra Peak is a perfect fit for you and your family." "Beautiful home in Park Place community. The house has been upgraded with tile downstairs, surround speakers, stainless steel appliances. 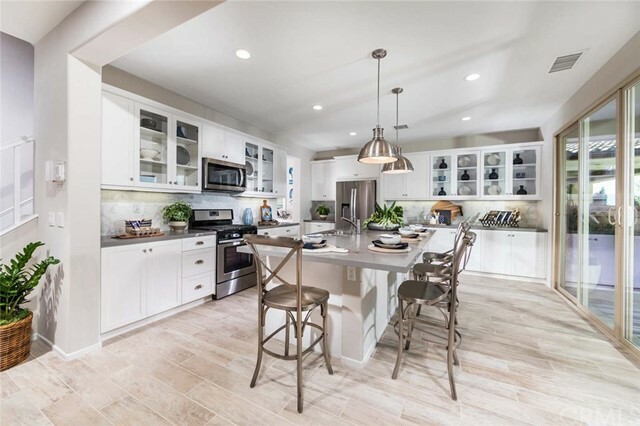 The kitchen opens up to the family room and as you walk out to the back yard you will find a covered patio to enjoy the wonderful California weather. You would have to see it to appreciate its beauty and how it all comes together. There are many upgrades to list: Water softener, water filter, tankless water heater, ceiling fans, laundry room with sink. alarm system. Call or text for an appointment!" "**NEW CONSTRUCTION!! 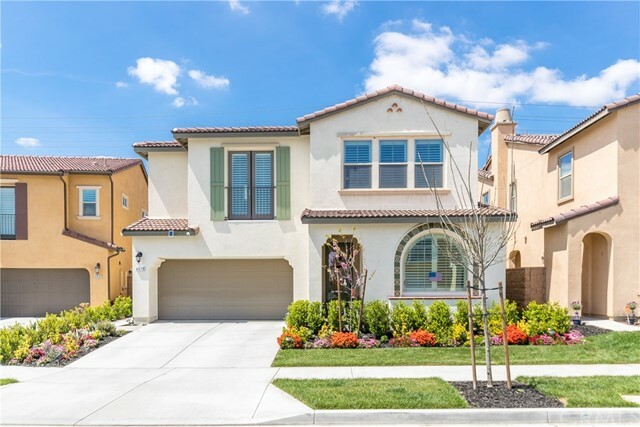 Newly built beautiful Spanish Colonial style 4 bedroom and 3 bathroom, with one bedroom and bathroom downstairs, traditional single family detached home, is located in the master planned community of Park Place. Walking distance to parks and future elementary school. Premium features include, a gourmet kitchen with Whirlpool Stainless Steel appliances, European Frameless Style Cabinets, upgraded Quartz Countertops in the kitchen with full splash, includes Outdoor California Room, large and generous Milguard windows with life time warranty, large master suite with walk-in closet, and dual zone HVAC. Conveniently located to many retail shopping locations including Eastvale COSTCO, In-N-Out, El Pollo Loco, Starbucks, Miguel Jr., Smart & Final. NOTE: Buyer have the option to select their own flooring in this home!" "DONE. This 2,496 square foot Residence is a turn-key package home, complete with window blinds, washer/dryer/fridge, Whirlpool appliance package and artistically-designed backyard landscaping (all taken care of! ), as well as a 2kW solar power system included (not a lease). Home is tech-ready with Ring doorbells, WiFi thermostats, smart-code keyless-entry doors, and an energy-efficient whole house fan. 4 Bedroom and 3 Bath under construction and ready for move-in come March. California Room at exterior, upgraded flooring inside, highlighted by oversized 18 x 18 tile throughout. Granite counters at kitchen, walk-in pantry, large island space frames the view of a spacious Great Room and dining space. A downstairs bedroom and bathroom compliment second level Bedrooms, Loft and a luxurious and private Master Suite Wing. The Master Bath boasts dual vanities w/ quartz counters, an oversized shower with seating and separate soaking tub. This Homesite also has front landscaping and a drywall-finish, two car garage. Beautiful craftsmanship awaits in the Park Place master plan which features The ParkHouse, a major recreational amenity with pool, spas, tennis courts, library, gym, theater and more, all within walking distance." "Entertainer's Delight 2 Story Home in a Culdesac 3 car garage, RV parking Studio with its own entrance on the side of the house. This home has a Premium large lot with plenty of room for entertaining . 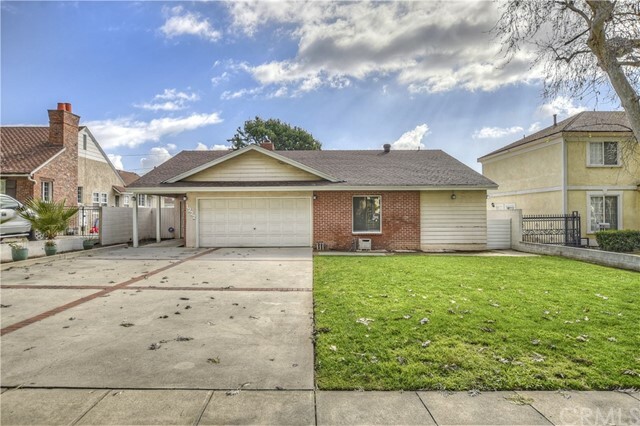 This Home has been renovated and upgraded from newer kitchen cabinets with quartz countertops and top of the line stainless steel appliances. This home has laminate flooring thru out with vaulted ceiling thru out. The home has natural lighting throughout the home. It has an open floor plan perfect for entertaining. It has 4 Bedrooms plus 1 bedroom downstairs with its own full bathroom so it has a total of 5 Bedrooms perfect for an extended family. The studio downstairs has its own entrance on the side of the house with a little kitchenette inside totally separate from the house. House has ceramic tile flooring in entrance and all of kitchen as well as family room overlooking the spacious yard that has Beautiful landscaping thru out and a firepit sitting are perfect for those cold nights. The yard has a mature avocado tree that gives delicious avocados ."